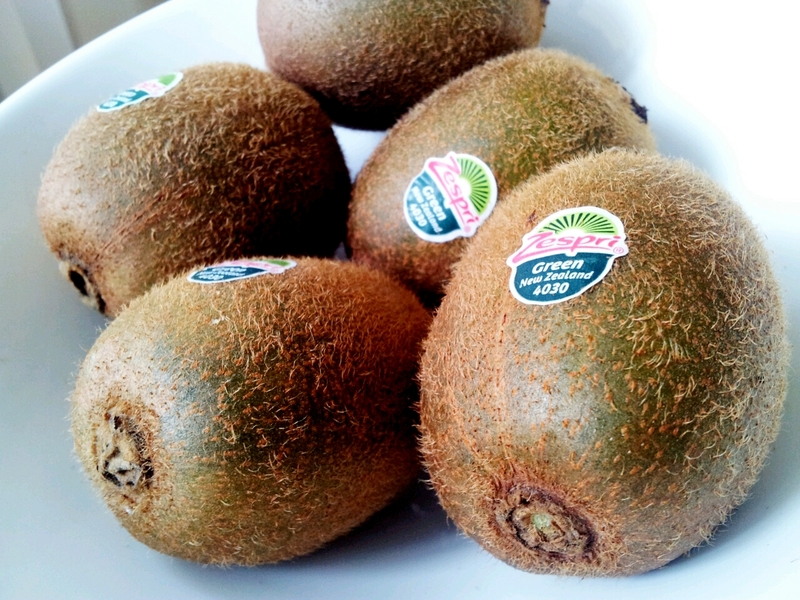 Can I see a show of hands (figuratively) how many of you like Kiwifruit? How often do you eat them? I will be honest to say that Kiwi is not on top of my list when I go groceries shopping. Even though it is tasty and packed with nutrients, I am often distracted by other choices in the supermarket. Naturally when I was approached by the fairy godmother of Kiwifruit (Zespri), it didn’t take long for me to be convinced. By now you would have already seen quite a few bloggers posting about the 14-Day challenge. I know I am a bit late with my blog posts but you would have seen my updates on my social media sites for the past few days incorporating Kiwifruits in my diet. The idea of the challenge is to improve our sense of well-being and perhaps lose some weight during the process (well that’s what I’m hoping for). Fat juicy Green Kiwis calling my name. 1. Bursting with twice as much Vitamin C* compared to oranges and just one Zespri® Kiwifruit meets your daily Vitamin C requirements. 2. A natural source of dietary fibre (both soluble and insoluble fibre) for a healthy digestive system. 3. Great low fat natural source of Vitamin E, which is well known for its heart health and antioxidant properties. 4. High content of bioavailable antioxidants (Vitamins C & E, polyphenols, carotenoids, etc) to help fight damage caused by free radicals in the body. 6. A source of potassium that is essential for every cell in the body. A 2-piece Zespri® Kiwifruit serving provides about 10% of your daily potassium needs, as much as a banana, but with less calories. 7. A source of folate – a vital need for pregnant ladies for the development of genetic material in a fetus. 8. Low in calories but full of essential nutrients – a great tool for weight management. 9. Low in Glycemic Index (GI) that does not increase blood sugar rapidly – ideal for diabetics. 10. Helps improve the function of your immune system. 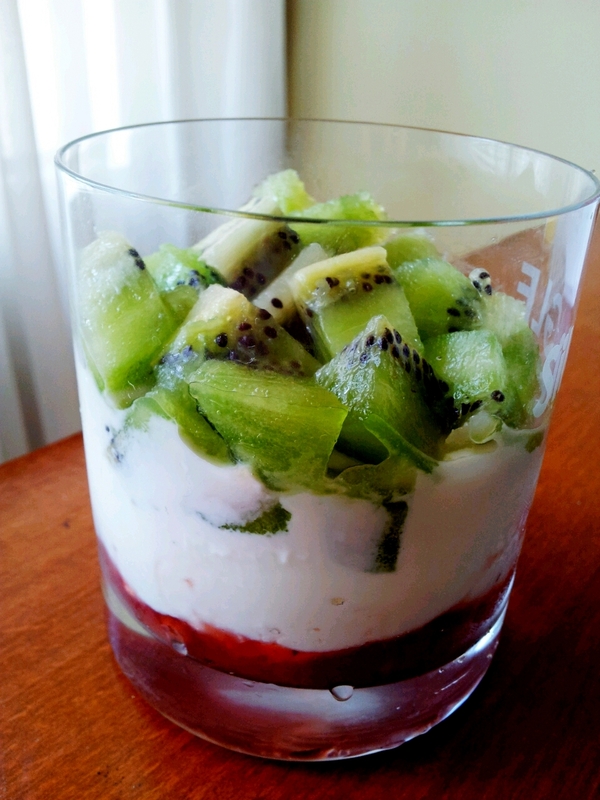 How do you like to enjoy your kiwifruit? 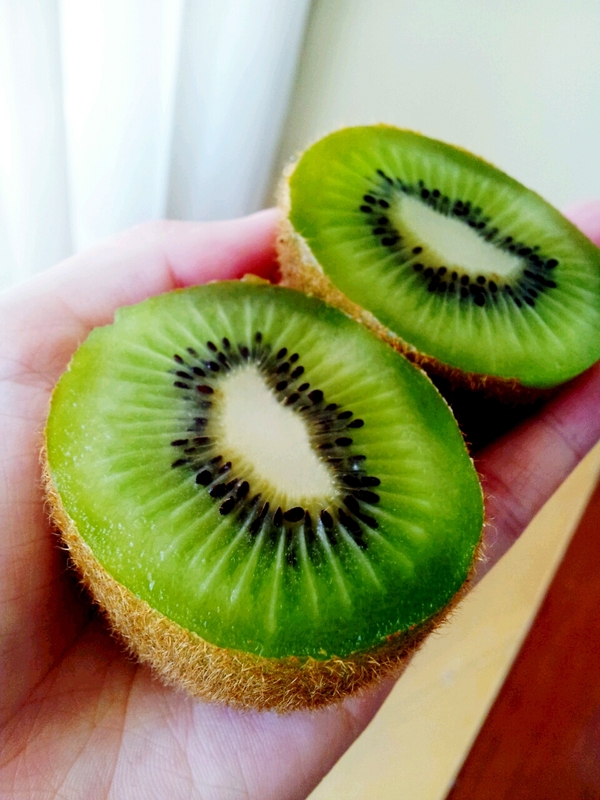 The simplest way of eating Kiwifruit is just cutting it in half and scoop the flesh out with a spoon. But there are many ways you can use this powerful fruit. Bear in mind though because the actinidin, you can’t use it in recipes with dairy products unless you will be consuming it within minutes. Here I layered homemade strawberry jam (strawberry Jam recipe below), greek yoghurt and diced Kiwifruit for a healthy breakfast (or even dessert after dinner). Hulled and cut the strawberries into halves or quarters depending on size, add to a saucepan with sugar and lemon juice. Cook on medium heat until the liquid turned into gel form (it will form a coat on the back of your spoon). Let cool completely and chill in the fridge until ready to use. Or pour into a sterile jar so you can keep it for ages. Prefer to drink your fruit? 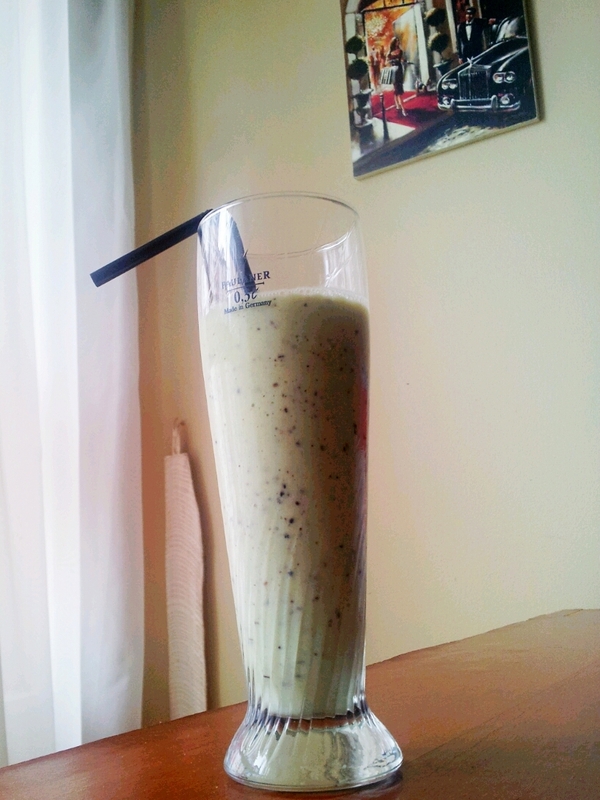 Make a Kiwi smoothie then. Yes that is indeed a Paulaner Pint Glass. Haha. Add all ingredients into a blender and blitz until smooth. You can choose to add some water to adjust the consistency. Serve immediately. You can add pretty much any other fruit you desire such as banana, apple. Add a bunch of Spinach leaves for that extra nutrients (and weight loss benefit). Don’t worry, you won’t even taste the vegetable. 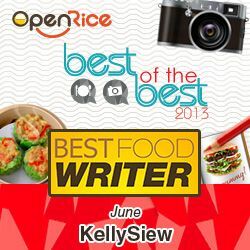 In the next few days I will be posting more recipes ideas including savoury dishes. Stay tuned! Useless fact of the day: Did you know that Kiwifruit has once been declared a National Fruit of China? Kelly, I will listen to the doctor 🙂 I love kiwifruits, the green one and I see them coming back to the shelves. Forgot to pick up last weekend and I’ll be sure to grab a few on my next grocery trip. One of my fav fruits!